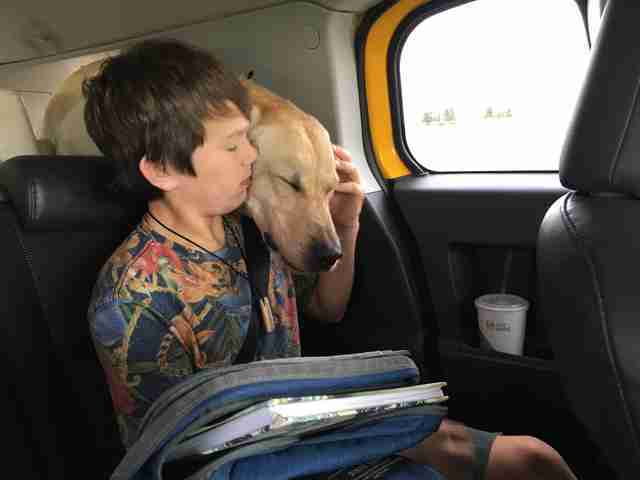 "It took my dog's life — and it could have taken my son's." Update: Wildlife Services announced on April 10 that it has agreed to stop using M44 cyanide bombs in Idaho in response to a petition filed by 19 conservation and wildlife organizations after Casey was killed. "This could well be the tipping point that leads to a nationwide ban of these extraordinarily dangerous devices via the legislation introduced in Congress last month," Brooks Fahy, executive director of Predator Defense, a nonprofit based in Eugene, Oregon, said in a release provided to The Dodo. 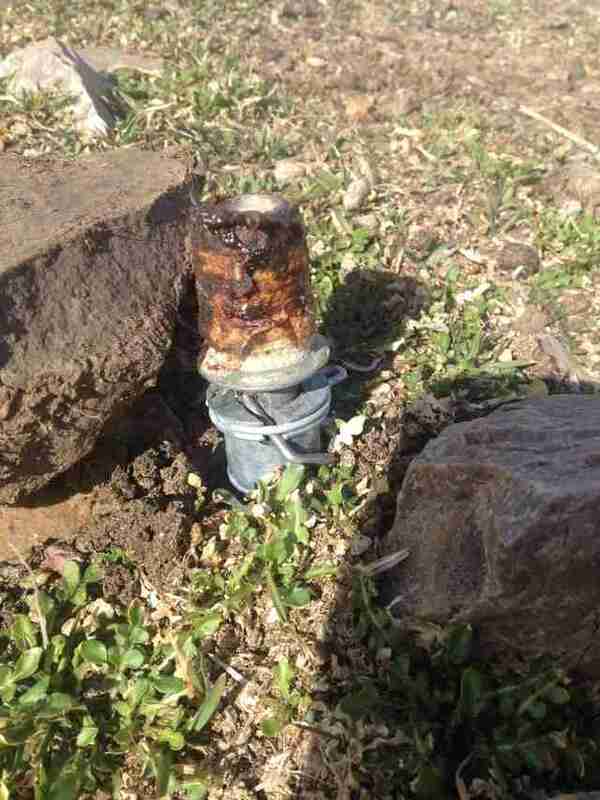 Many people hope this is just the beginning of the end of the use of M44 cyanide bombs. "Although a step in the right direction, the federal government must do more to ensure the safety of all Americans, our dogs and wildlife," Michelle Lute, wildlife coexistence campaigner for WildEarth Guardians, said. "We won't rest until a national, permanent ban on M44 cyanide bombs is instituted and strictly enforced." 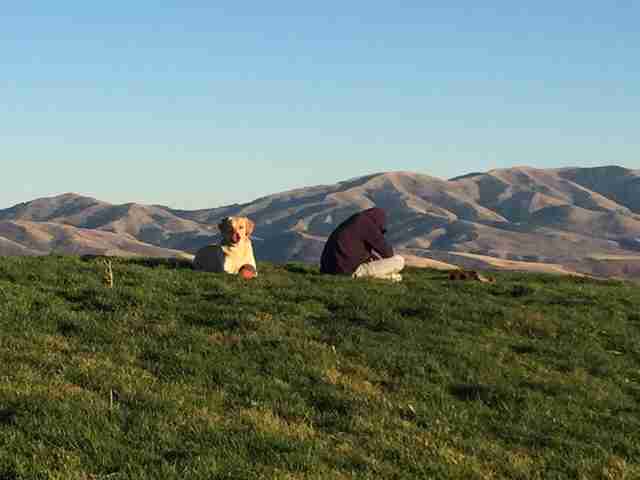 A boy and his dog, Casey, were taking a walk near their home in Pocatello, Idaho, on March 16 when the unthinkable happened. The boy, 14-year-old Canyon Mansfield, noticed something sticking about half a foot out of the ground. When he touched it, there was a pop and a "siss" and orange powder shot out. Canyon jumped back in shock. 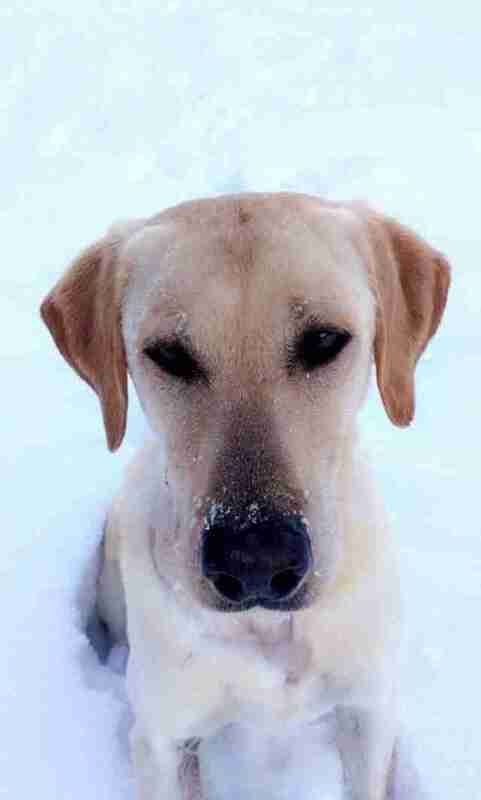 When he looked for his loyal dog, Casey, he saw him on the ground. "He just stayed on the ground mumbling," Canyon told the Idaho State Journal. "I thought he was playing with his toy, but I saw the toy a couple yards away from him ... So, I called him again and got really scared." Canyon rushed toward him and held him, seeing something was terribly wrong. "[I] saw this red froth coming from his mouth and his eyes turning glassy," he said. He ran down the hill for help and, when he and his parents returned a few minutes later, Casey was dead. Later the family would discover that their 3-year-old dog had been poisoned by an M44, a cyanide trap that is set out by the U.S. government to kill coyotes, luring them through scented bait. "M44s are incredibly dangerous by nature of what they are," Brooks Fahy, executive director of Predator Defense, a nonprofit based in Eugene, Oregon, told The Dodo. "They put a scent lurer - like urine from a coyote in her heat cycle or another smell that makes the animal want to grasp the M44 head - and any coyotes, wolves, are attracted to it. They pull on it and that's when it goes off." "With children and people - they are curious," Fahy cautioned. "It's like putting a loaded handgun on a table." Casey is among the latest victims of the thousands of animals unintentionally killed by Wildlife Services, an arm of the U.S. Department of Agriculture (USDA) that kills millions of wild animals each year to make more room for human industries like raising livestock. Over 3,400 animals were mistakenly killed by M44s between 2006 and 2012, including black bears, bobcats, raccoons, opossums, ravens and foxes, as well as dogs - and that's just what the agency has reported. Fahy suspects the actual number is even higher. Cyanide poisoning strangles cells, making it impossible for them to absorb oxygen, essentially suffocating any animal - intended or unintended - to death. There was little time to grieve Casey at the moment he died - Canyon had to save his own life. His father, a physician, and his mother had him take off his clothes, which were covered in orange powder. He was rushed to the emergency room for tests. Thankfully, the family believes Canyon was upwind from the poison powder. He's alive, but he's traumatized. "My son Canyon, who witnessed it all, is really struggling with what happened," Theresa Mansfield told The Dodo. "It was above our house. It makes me not feel safe. I feel like I had terrorism in my own backyard, with my own government." The Mansfield family had no idea the devices where there, just about 350 yards from their home, at the edge of their property line. And they weren't the only ones - even the county sheriff didn't have knowledge of these devices, or just how dangerous they are. The Mansfields say there also weren't even any warning signs and they were never notified about the presence of the M44s. It was later reported that two M44s, including the one that killed Casey, were planted in this area near the Mansfield's house on February 25. "APHIS' Wildlife Services confirms the unintentional lethal take of a dog in Idaho," a spokesperson for the USDA said in a statement last week. "As a program made up of individual employees many of whom are pet owners, Wildlife Services understands the close bonds between people and their pets and sincerely regrets such losses." The agency claims it has removed the other M44s in "that immediate area," while conducting a review of the incident. When The Dodo asked whether the USDA would issue an apology to the family, a spokesperson replied: "We are concerned about the individual who may have been exposed to sodium cyanide when his dog activated the M44 device. Initial reports indicated he was examined at a local hospital and released with no symptoms, and we are hopeful those reports are true. We will consider this possible exposure very seriously as we conduct a thorough review of this incident." "It's something so close to my house, and it took my dog's life," Theresa said. "And it could have taken my son's." Now Theresa is hoping that their story will help make the M44s illegal. "It's a brutal way of killing something." While the Mansfield family has only just learned, in the hardest way, about these devices, some people have been fighting to ban M44s for years. And a mere investigation into this latest incident simply isn't sufficient, they say. 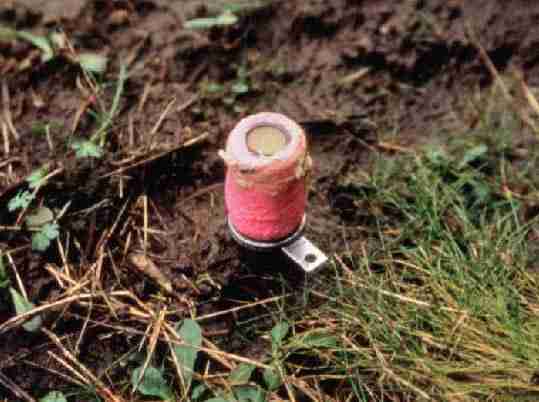 "This is another demonstration of what we've been saying for decades - the dangers of M44s are essentially landmines waiting to go off for a dog, endangered species or a child," Fahy said. He estimates that hundreds, even thousands, of dogs have been killed by these devices. "This happens all the time." U.S. Representative Peter DeFazio (D-OR) introduced a bill in the past seeking to make these devices illegal - and it's expected, given the recent slew of accidental deaths, that he'll keep trying. "I have been trying to ban the indiscriminate use of devices like the M44 for decades," DeFazio said in a statement recently. 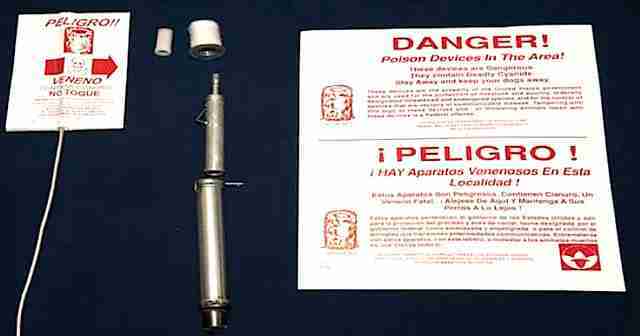 "The use of this device by Wildlife Services ... has previously killed domestic dogs, and sooner or later, will kill a child." While the USDA claims that a dog dying from an M44 is a relatively rare occurrence - the last time an animal in Idaho died from an M44 accidentally was in 2014 - there's doubt that the supposed benefits outweigh the risks, especially since killing predators to control populations doesn't necessarily even work. "M44s are a terrible device for killing coyotes by cyanide poisoning, which is a nasty and sickening way to die," Noah Greenwald, endangered species director at the Center for Biological Diversity, told The Dodo recently, after a rare wolf in Oregon was killed by the device. "They should be banned both because they are indiscriminate, killing this wolf as well as often pets and animals, and because killing coyotes in this and other manners is totally ineffective." 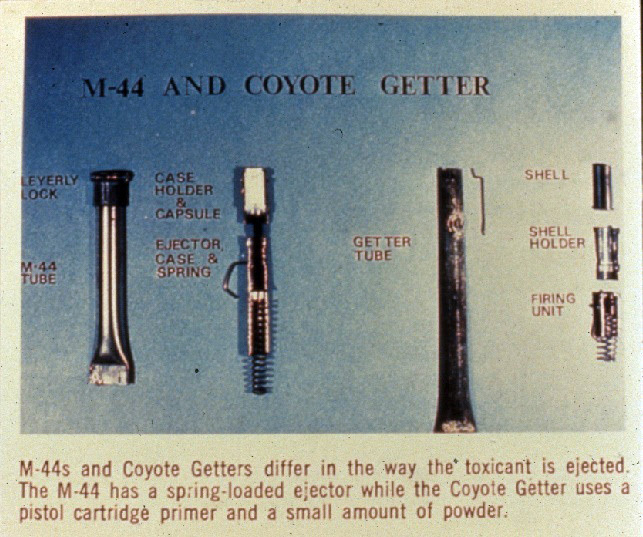 Last year alone, Wildlife Services intentionally killed 76,859 coyotes; 12,511 were killed by M44s. That's an average of 34 M44s intentionally exploding per day. At least seven pets or livestock were killed by M44s last year, though the USDA doesn't specify what kinds of animals they were. Twenty-two dogs the agency claims were "feral, free-ranging and hybrids" were also killed. 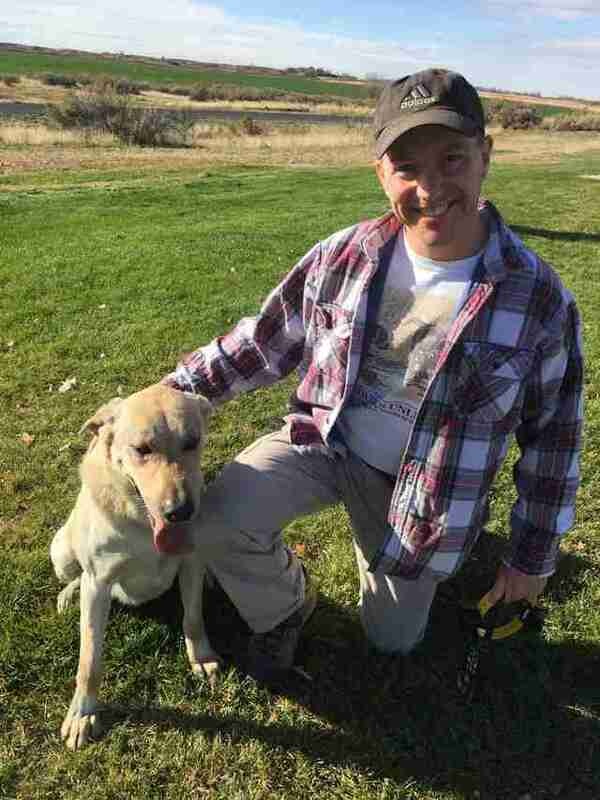 Just days before Casey was killed, two other pet dogs were also killed by an M44 in Wyoming on March 11, though the USDA claims this was not one of their own devices. In either case, Fahey says the tools should be banned. "Bottom line, this device needs to go - immediately," Fahy said. Until the device is banned, others remain at risk, and the Mansfield family is trying to cope with their loss any way they can. The clothing Canyon was wearing when the M44 exploded is still in a bag outside their house, a constant reminder. "We're not coping very well. We've been really sad," Theresa said, adding that she blames the USDA for not taking full responsibility for just how dangerous M44s essentially are. "I feel like they don't care about that it's a bomb and they're probably worried about being in trouble, but they're not willing to change that these things are bombs. They could hurt kids and little dogs. And there's no explanation. That's the thing that's hard." "Our Casey was so important," Theresa said. 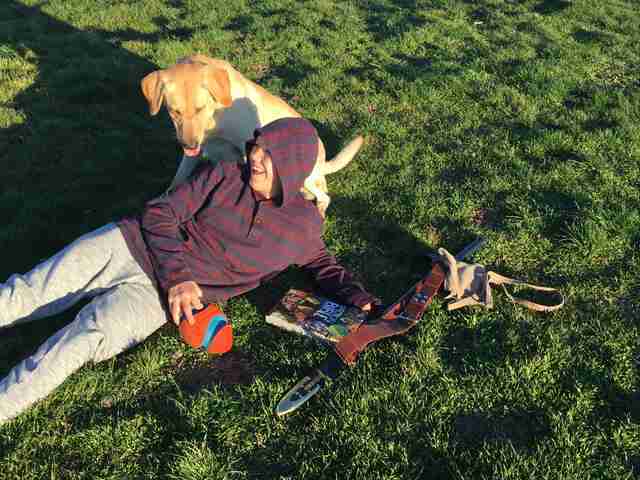 "He was everyone's dog, he was my little boy's best friend, my daughter's running buddy." "I think in a way, you just feel violated," she added. "We didn't even know anything like that existed." To help protect pets and wildlife from these poisonous tools, you can contact your representatives to support legislation to ban these devices. You can also donate to Predator Defense. Correction: This article has been updated to reflect that bait on M44s can be many different attractants, not just the urine mixture.